Our pretty forklift truck carries crates and pallets. It is a nice decoration that can be placed on a desk or on a shelf. 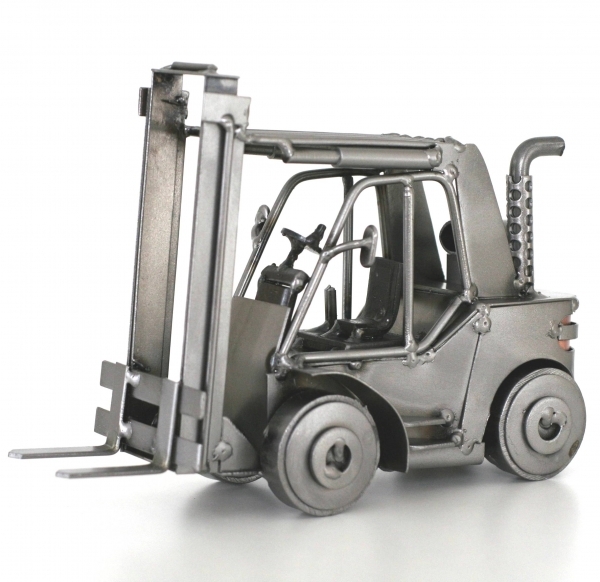 A perfect present for forklift truck operators, storemen and shipping companies workers. Our funny metal figurines and metal objects are created by hand in a long process. We have been producing them for years with great care and passion for details. That is why we guarantee you the highest quality. Each figurine and each object is unique. Our products are great gifts and will certainly make your relatives, loved ones and friends smile. They always are a welcomed present. All products are in stock. Journey time is 2-3 working days.